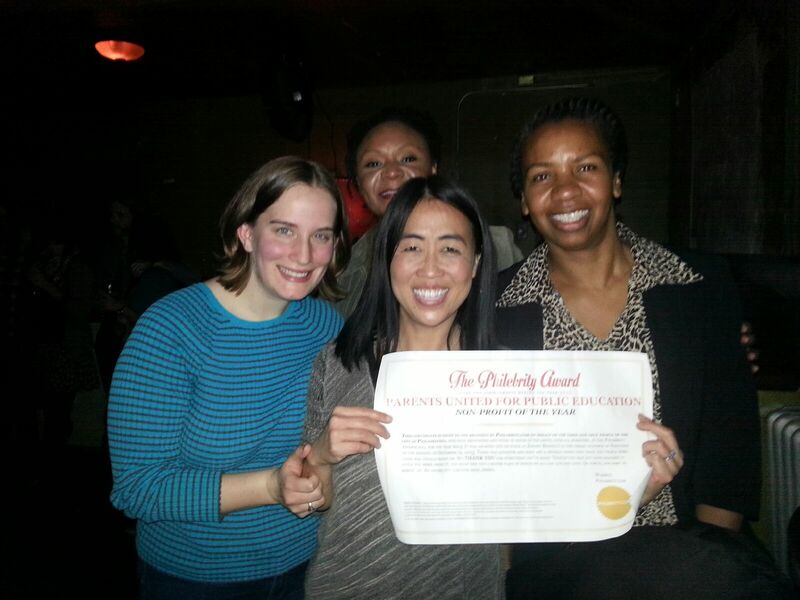 Thanks for voting for Parents United for Public Education as Philebrity’s 2013 Non-Profit Organization of the Year.We had a great time at Johnny Brenda’s and had a drink (or two) celebrating the hard work all of us put in to support a strong public school system in Philadelphia. The night was made doubly fun by the excellent and well-deserved popular win of friend, colleague, and school nurse Eileen Duffy as Do-Gooder of the Year along with many other pretty cool folks all over Philadelphia. We thought all of our friends and supporters would get a kick out of the text of the award (very Philebrity). It applies to all of us in whatever place we are working in to do what we can to make our schools stronger and more nurturing places for our children. Thank you for all that you’re doing!